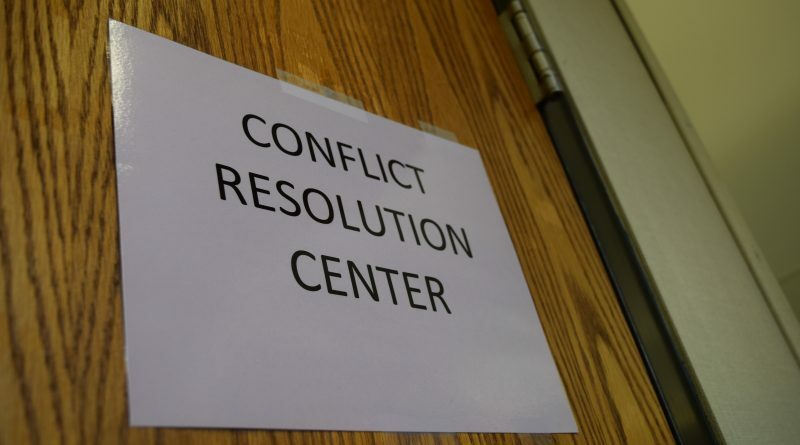 Alongside recent renovations and new rules, a new conflict resolution center went into effect for the 2018-2019 school year. This tool was set in place to provide a safe space for students to resolve conflict and work through issues. 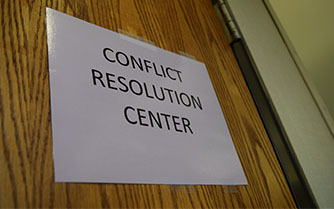 The purpose of the conflict resolution program is for students to reflect on and resolve issues. The students problem solve and come with solutions and strategies with conflict resolution supervisor Jason Breeland. “We help kids understand the type of decisions they make and how they can affect their lives after high school. Our goal is to help them understand that these decisions have positive and negative effects,” said Breeland. Besides helping students problem solve, the center can benefit teachers as well. Students and teachers can problem solve and work through issues they are dealing with in the classroom. “I think it’ll benefit students in a way that they can problem solve and if the issue arises again, they will make a better choice. I think it’ll benefit teachers because there’s a component where the teachers can visit the students or speak with Mr. Breeland about some things that the student reflected on and perhaps they can come up with an agreement on how they can problem solve together,” said Bell. The North administrators decided to implement the center because the district is leaning towards restorative practices which focuses on helping students understand and learn from their actions instead of just punishing them. The center is for students in every grade level, but Bell is focusing on freshmen to get them use to the idea that they can learn and grow from negative situations they may find themselves in. “I’ve utilized it with 9th graders because they aren’t familiar [with the school rules], and they are possibly bringing previous conflicts from 8th grade. We’ve had conversations, and they’re not necessarily being penalized, but we’re showing them that this is a place where we resolve our conflict, we reflect, we come up with a plan to move on and move forward,” said Bell.